Semi-weighted keyboard that's loaded with functions that make it fun to play and use, such as a touch pad inherited from the Kaossilator that lets you play melodies using just a single finger, trigger pads that let you generate chords in the key and scale of your choice and an arpeggiator that includes rhythm patterns. 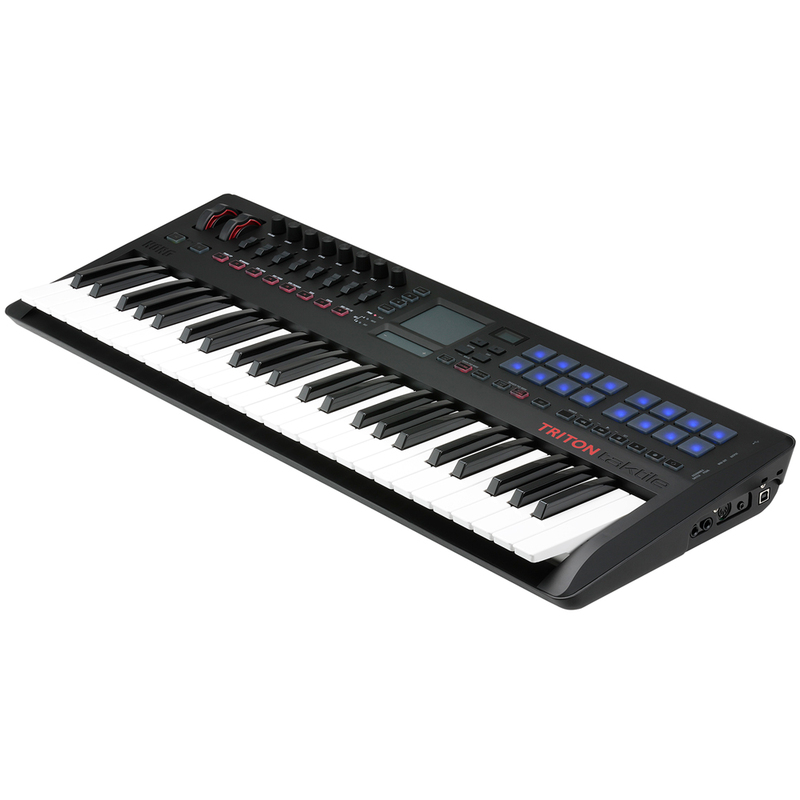 It also delivers the functionality that you expect from a MIDI controller. providing all of the basic controllers such as sliders and switches, and makes setup easy so you can start producing music right away. Convenience is not the only attraction of the Triton Taktile; it's a MIDI controller that's full of features that will stimulate your creativity. 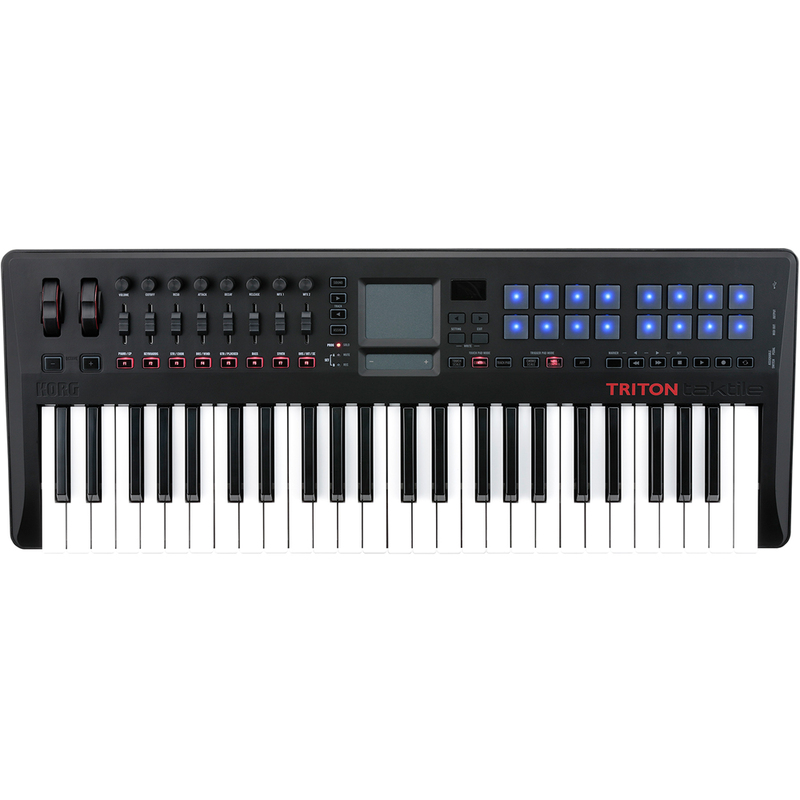 In addition, the Triton Taktile adds 512 sounds from the Triton, KORG's best-selling music workstation loved by top-ranking musicians around the world. 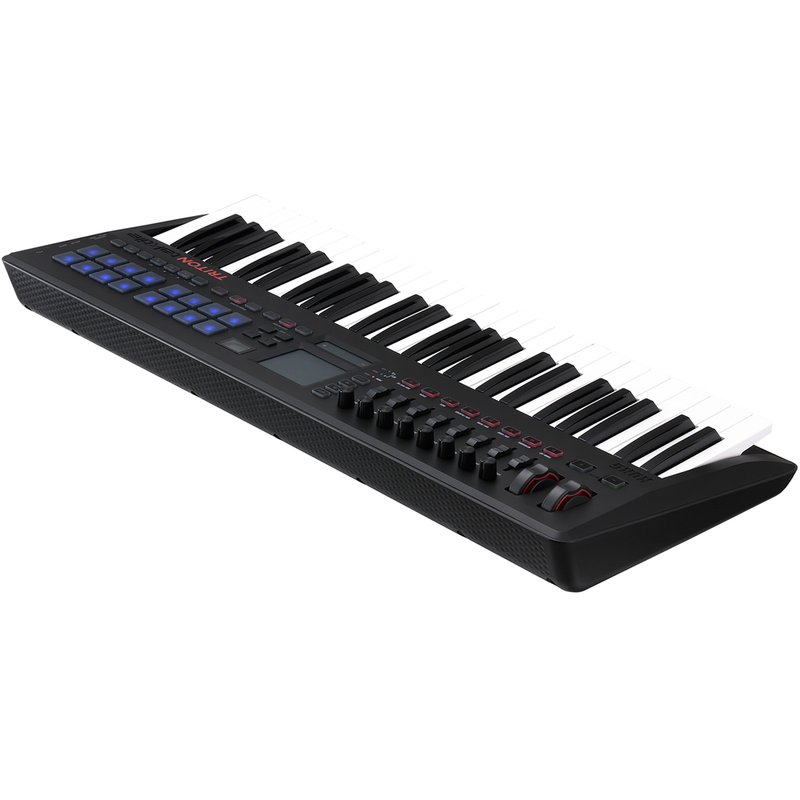 From your desktop to live stage performances, it's a USB MIDI controller that you can use in any situation.